Aamer Yamin – He is a new emerging talented right handed batsman of Pakistan’s national team. He belongs to Multan, Punjab. He is represented in various domestic and international series of Pakistan’s Cricket. He has been associated with several Pakistan’s underground teams includes Multan Under-19s, Omar Associates, Multan Under-23s, Multan Tigers, Baluchistan, and Pakistan Customs. His bowling style is Medium Fast. Aamer Yamin made his 1st international debut in Pak vs Zimbabwe ODI. Shoaib Malik and Aamer Yamin partnership in Pak vs Zimbabwe 2nd ODI has become popular all over the country. Undoubtedly Aamer Yamin is an all rounder as his batting and bowling style both are unique. You can get the latest information about Aamer Yamin available online on HamariWeb.com. All the information that is gathered here is obtained from authentic sources. Find out the Aamer Yamin Career Statistics of batting and bowling style here on HamariWeb.com. 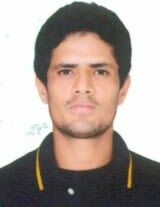 Find Aamer Yamin profile and stats of batting, bowling and fielding including latest updated news of Aamer Yamin, videos and images at Hamariweb.com. Also find detail Player profile and career statistics of Aamer Yamin of Pakistan. Aamer Yamin - Find Aamer Yamin of Pakistan Cricket Team complete player profile, number of matches, runs score, wickets & catches, Statistics, Records, Aamer Yamin Latest News, Aamer Yamin Videos, Aamer Yamin Photos, and other Aamer Yamin Cricket Team players.